Leave them in their tracks with the cute and sassy style of the Volcom What A Looker romper! Stylish romper fabricated in a soft cotton blend finished with floral print. Fitted bodice. Scoop neckline. Cap sleeves. Hook-and-eye placket and sideseam pockets. Metal logo plate adorns back neck. Princess seams and full leg. 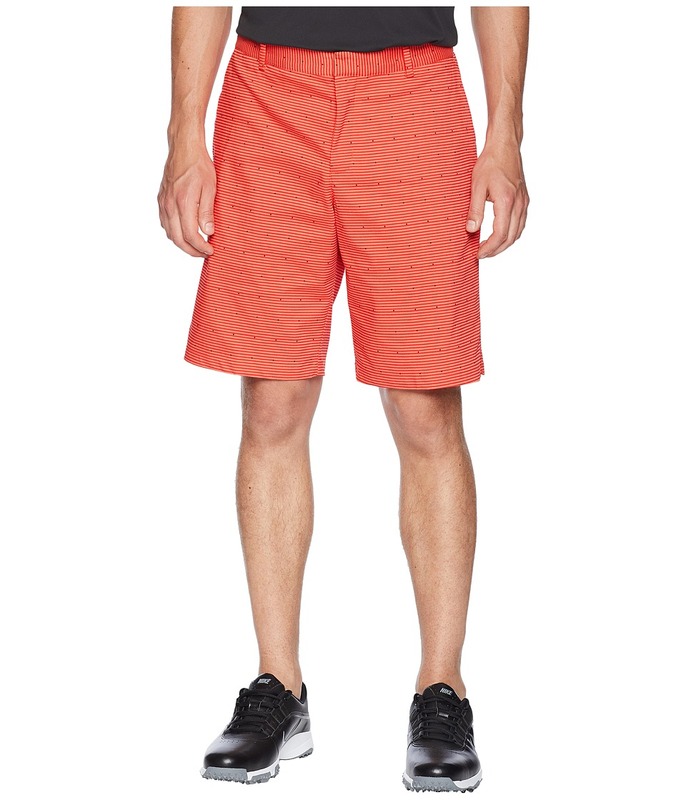 Short cuffs hit at upper thigh. 95 percent cotton, 5 percent elastane. Machine wash, tumble dry. Imported. Measurements: Inseam: 3 1 2 in Shoulder to Crotch: 29 1 2 in Product measurements were taken using size SM (US 3-5). Please note that measurements may vary by size. Bring simple beauty to your wardrobe with this FDJ French Dressing Jeans Top. 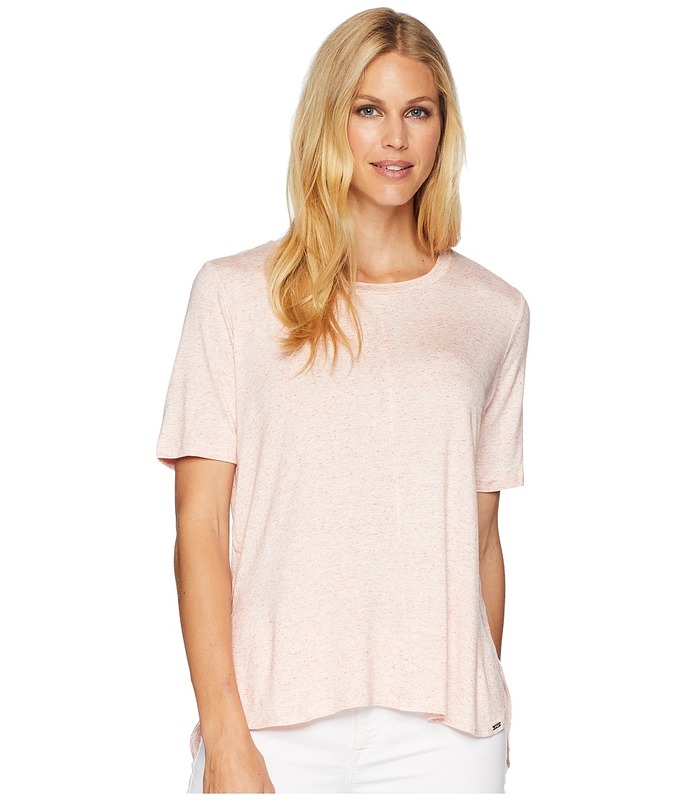 Crafted from a soft and stretchy blend of viscose and spandex. Crew neckline. Short sleeves. Straight hemline. 95 percent viscose, 5 percent spandex. Hand wash cold and lay flat to dry. Imported. Measurements: Length: 27 in Product measurements were taken using size SM. Please note that measurements may vary by size. Whether you~re dressing him for a fun play date or a special occasion, the Janie and Jack Roll Sleeve Button-Up Shirt is sure to be a hit. 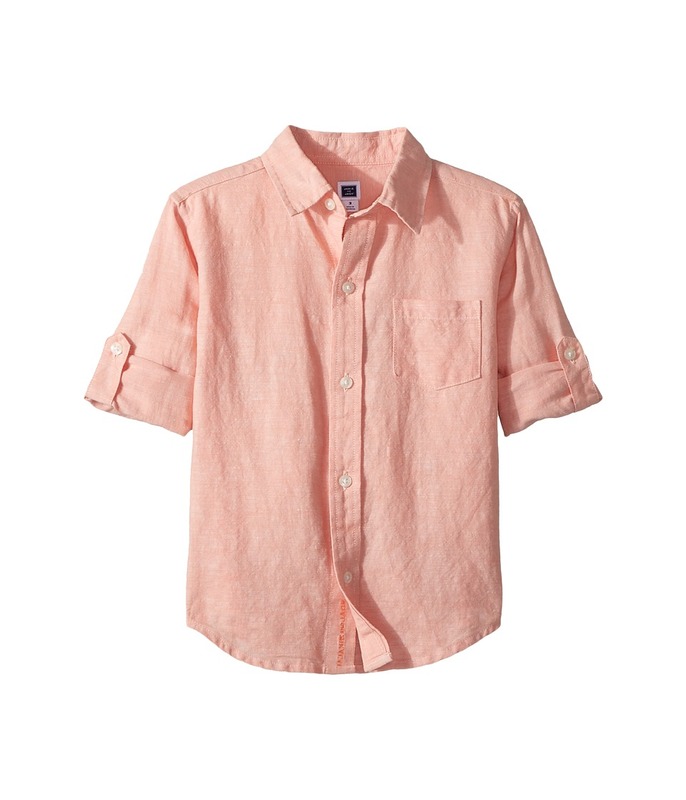 A bright coral colorway adorns the classic-fit, linen-cotton canvas dress shirt. Spread collar. Long sleeves finished with button-tab roll cuffs for versatile wear. Full button-up front closure. Janie and Jack embroidery at the inner placket adds a fun touch. Left chest patch pocket. Straight back yoke with center box pleat. Shirttail hemline. Style # 100027736. 55 percent linen, 45 percent cotton. Machine wash cold, tumble dry low. Imported.